One of the first applications of agricultural drones was pesticide spraying. Before drones, agricultural spraying was limited to larger farms and small to medium sized aircraft due to the high cost of hiring a pilot and paying for their services. But today, farms of virtually any size can afford drones outfitted to deliver pesticides. Today’s drone technology uses 2D and 3D mapping, such as that provided by DroneDeploy, part of the AgScout Series, that amounts to a plug and play system for agricultural drones. Much is the same for farm tractors which can now be fully automated. Driverless tractors also use advanced farming technology and software, GPS, and mapping systems to make sure the tractor stays on course. Agricultural drones are becoming very sophisticated with multispectral sensors like those provided by Surface Optics Corporation that operate from ultraviolet through the infrared spectral regions in real time. 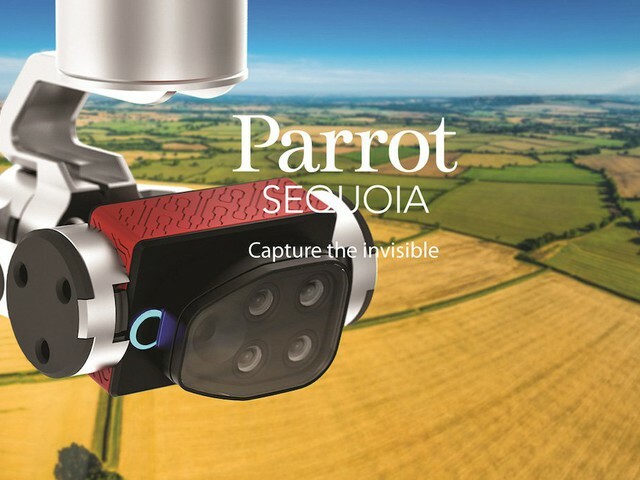 Parrot provides similar capabilities with its Parrot Sequoia. “From driverless tractors to unmanned aerial vehicles (UAVs), farming technology is rapidly evolving. Farmers can use drones to identify specific plants that are diseased or infested with bugs, to save water and resources, and to get a bird’s-eye view of their crops”.